This week marks nine months since Patricia Inman lost her husband and trusty business partner, Ron. And yet, as Thanksgiving approaches, she finds reasons to be grateful. 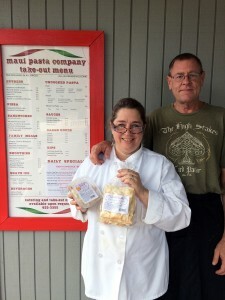 Patricia and Ron started Maui Pasta Company by selling freshly-made products outside their home and at farmers’ markets in 2012, then moved into a standalone site at 1476 Honoapi‘ilani Highway in Waikapū in July of 2015. It was just the two of them, building their business and working together every day, until Ron fell ill over the holidays. When he was diagnosed with brain cancer, Patricia reached out to the community, starting a GoFundMe campaign to try and keep the business going. Our island responded; donations and customers came pouring in. Patricia was amazed and humbled. 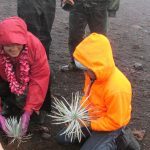 “Maui Pasta Company would not be here without the Maui community and how they helped last winter,” she says. 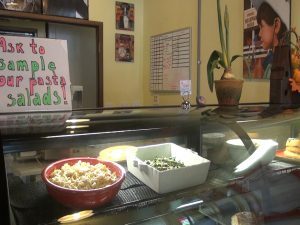 In fact, she was so inspired by the generosity, Maui Pasta Company now offers its own fundraising opportunities. Nonprofits can sign up to have one Monday dedicated to their group, and they’ll receive 15% of all sales from that day. 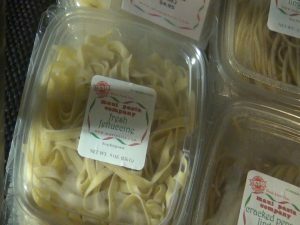 Organizations can also sell tickets for pasta meals to raise money for their causes. Freshly-made pasta in Waikapū. Photo by Kiaora Bohlool. 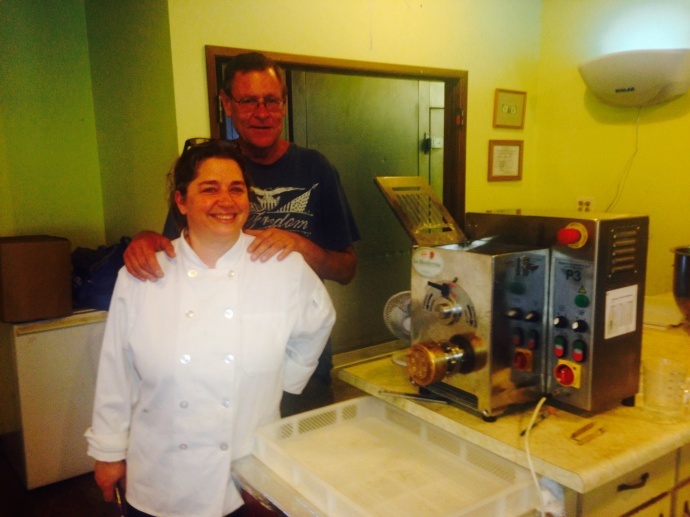 Ravioli back in production at Maui Pasta in Waikapū. Photo by Kiaora Bohlool. Maui Pasta Company co-owner Patricia Inman. Photo by Kiaora Bohlool. 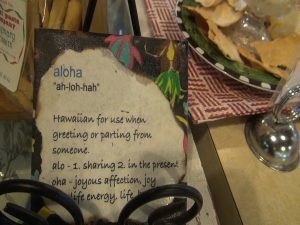 Thanksgiving specials at Maui Pasta Company in Waikapū. Photo by Kiaora Bohlool. Maui Pasta Company’s Patricia Inman wears Ron’s wedding band with hers. Photo by Kiaora Bohlool. 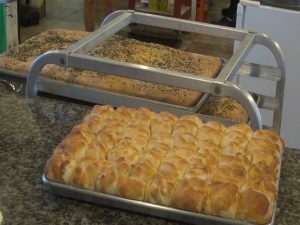 Freshly -baked focaccia and honey butter rolls at Maui Pasta Company. Photo by Kiaora Bohlool. 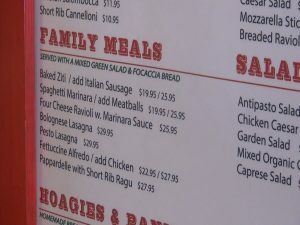 Family meals available for take-out at Maui Pasta in Waikapū. Photo by Kiaora Bohlool. 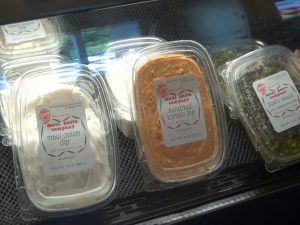 Dips and products available to-go at Maui Pasta Company. Photo by Kiaora Bohlool. Mau Pasta Company remains open in Waikapū, even though the building is listed for sale. Photo by Kiaora Bohlool. New deli case at Maui Pasta Company. Photo by Kiaora Bohlool. Decor at Maui Pasta Company. Photo by Kiaora Bohlool. New Maui Pasta Company business partner and general manager Debbie Lynch presents Patricia Inman with a gift. Photo by Kiaora Bohlool. Desserts, part of the retail and wholesale business at Maui Pasta. Photo by Kiaora Bohlool. Patricia has been working 12 hours a day to keep Maui Pasta Company going since Ron passed away in February of 2016. 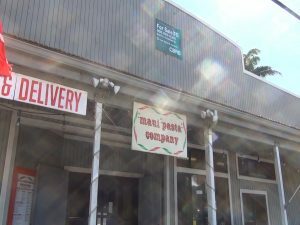 Although the building is up for sale, Patricia says their business lease is in-tact, so Maui Pasta Company remains open in Waikapū. She says keeping the retail store, catering and take-out business flowing has been tough, but she is grateful to see growth on the wholesale side. 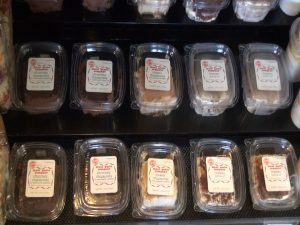 You’ll find Maui Pasta desserts and other to-go options in many places, like ABC Stores, Island Gourmet shops, Pukalani Superette and Foodland grocery stores. “A lot of desserts that come into the islands are all frozen and flown in from places, and so we’re making fresh tiramisu, fresh panna cottas, we’re making chocolate cheesecake and regular classic cheesecake,” she says. Patricia treasures the peace of the early morning, when she puts on her music and thinks about the love of her life while making the desserts and breads for the day. 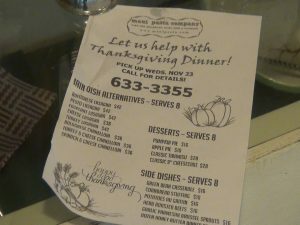 Maui Pasta is offering main dish alternatives, sides and desserts for Thanksgiving, and will likely have similar offerings over the holidays in December. Call 633-3355 by Wednesday, Nov. 23 to order for this week. Ron was the prized ravioli maker, which was put on hold when he got sick. Patricia is happy to report, the ravioli is now back in production. 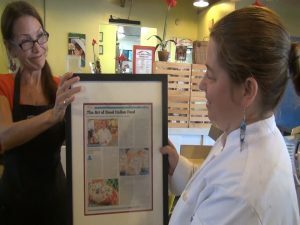 She’s also proud of the fresh, local ingredients they showcase in their products. 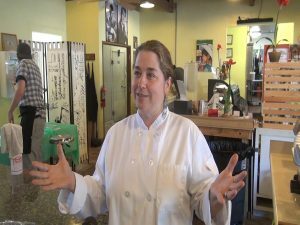 She says their dream was to expand manufacturing on Maui, and the ultimate goal is a factory cafe. If you remember this story from earlier this year, you might also recall that while handling a business on the brink and a husband in hospice, Patricia’s car was stolen (out of the hospice parking lot). It was also the business delivery vehicle. She says it was found, with $4,000 worth of damage, the day before her husband died. Although Patricia calls the loss of Ron “all-encompassing,” she continues to take it step by step, day by day, maintaining a hands-on role with Ron’s wedding band now on her ring finger. She sets a special alarm, devoting time each afternoon to reflect on her husband and the dream they built, in a place they worked happily side-by-side. 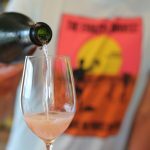 Maui Paradise Tours Launches "Upcountry Uncorked"